Hi Mary. Yay! Sepia Scenes is up on a Tuesday night. I just posted mine and then was looking around and found this. Love the buddha and his inventive little hat. 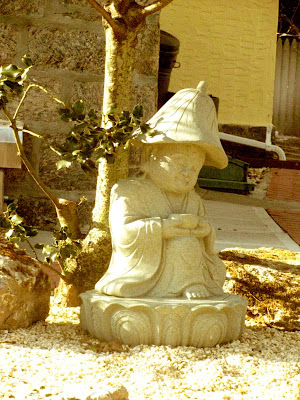 Such a sweet little Buddha figurine! Love the slightly bowed head! Mary, that's a sweet little Buddha statue.